Washington D.C., formally known as the District of Columbia, is the capital of the United States and has not been open to gambling in the past. Casinos, poker rooms, and horse racing are nowhere to be found in its jurisdiction. There have been several attempts in the past to legalize and issue licenses to gambling operators within D.C., but until late 2018, all legislation had failed until a sports betting bill was passed following the PASPA repeal that legalized placing a wager on sports within the city limits. As a result, D.C.-licensed sportsbooks are expected to launch in either in late 2019 or early 2020. 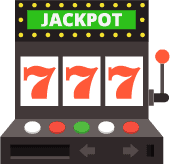 Currently, the lottery, charitable bingo games, and sports betting are the only forms of gambling allowed within the city lines of the nation’s capital, but despite the strict and limited nature of D.C's gambling laws, there are still several legal options available to residents and visitors — specifically when it comes to betting online. We want to inform you with a comprehensive breakdown of the online US gambling laws and current the status of any pending legislation surrounding casinos, poker rooms, and sportsbooks — for both land-based and online — and provide you with our recommended betting options for the District of Columbia. Online Gambling Laws In Washington D.C. The current online gambling laws of Washington D.C. does not allow any online casino, poker, or sportsbook operator the ability to offer their services within the city limits of the district. Online sports betting will be available when the D.C.-licensed sportsbooks launch in 2019 or 2020, but businesses seeking a license will be required to restrict online and smartphone app-based sports betting to only being allowed their premises. The only online sportsbook that will be available anywhere in the city will be provided solely by the city-run D.C. Lottery. However, under the current state gambling laws, online gambling at casinos, poker rooms, and sportsbooks is legal if the site is both licensed and located offshore. We’ve vetted dozens of the most well-known betting sites in the industry and below you’ll find our recommendations for which online casinos, poker rooms, and sportsbooks we believe are the best legal and safe option available to anyone over the age of 18 in the District of Columbia. Is Online Gambling Legal in DC? Yes. There is no law that expressly prohibits either a resident or a visitor from signing up and playing online casino games or poker, or betting at a sportsbook if the site is legally licensed and located offshore, outside the jurisdiction of DC. The DC law only affects online gambling within the city limits, which is why online casinos, poker rooms, and sportsbooks are currently not permitted to operate anywhere in Washington DC. Bovada is our top pick for online wagering services available to US residents. 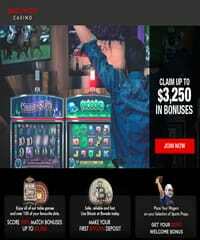 Not only do they offer online sports betting, casino gambling, horse race betting, poker rooms, and lottery games, but you can also find many specialty games including video poker, keno, and bingo. All of Bovada's services are available under one account and new account holders can take advantage of multiple bonus options. Anyone in Washington D.C. who is at least 18 years old can legally participate in either the lottery or bingo games. When the D.C.-based sportsbooks launch in late 2019 or early 2020, the minimum age for sports betting in the nation’s capital will be 21 years of age. Are Online Casinos Legal in Washington DC? DC-licensed online casinos are not legal anywhere within the city limits, and neither the DC Council nor the mayor has indicated that they want to legalize and offer licenses to operators within their jurisdiction. However, DC law does allow both residents or visitors of the nation’s capital to gamble at licensed offshore online casinos and below you’ll find our recommended list of the best online DC casinos. We’ve thoroughly vetted each one and have determined that each site is licensed, legal, safe, and provides the best online experience to responsible gamblers across the nation’s capital. Is Online Poker Legal in Washington DC? DC-licensed online poker room operators are currently not permitted to offer services within the city limits of Washington DC. However, legally licensed and regulated online poker rooms that are located offshore and outside the DC jurisdiction are a viable option if you live in the nation’s capital or are just visiting. Each of the following licensed online poker sites is among the best in the industry when it comes to playing online poker in the District of Columbia. Each site has been determined to be legal and safe by our staff of experienced online poker professionals. Is Online Sports Betting Legal in Washington DC? The DC Council and the mayor did pass legislation in late 2018 to begin allowing DC-licensed sportsbooks to begin operating within city limits. This comes after the Supreme Court overturned PASPA, which was a federal that prevented states and DC from creating laws in regards to sports betting. States and DC are now free to legalize sports betting if they so choose. However, online sports betting will be restricted to the place of business, and the DC Lottery will be the sole provider of city-wide online sports betting. However, online sports betting is already readily available for DC residents and visitors when using any of the legally licensed offshore sports betting sites found below. Each of the online sportsbooks on our list has earned our safe recommendation and provide DC players with the best odds in the industry. Is it safe to use a licensed offshore betting site in DC? Each of the licensed offshore betting sites on this page has been reviewed and determined to be safe and secure for DC players when it comes to any transaction via deposits or withdrawals. We can’t vouch for every site online, but each site found on this page is 100% safe. What forms of gambling is legal inside the DC city limits? Only the lottery and bingo games are legal inside the city limits of the District of Columbia. Casino games and poker rooms are not allowed to operate in DC. Currently, sportsbooks aren’t either but this will change once operators are licensed and launch in either 2019 or 2020. When will DC-licensed online gambling be legal? It’s difficult to say, but we’re going to estimate that it’ll be roughly 2025 until all online gambling is legalized within the city limits of DC. Online sports betting will a good test run and if the market does well within the city, you can expect to see all online gambling legalized in the next few years. Is online betting for horse racing legal in DC? Online betting on horse races is not allowed within the DC jurisdiction but is legally available at all of the licensed sports betting sites we recommend. Is it legal to buy lottery tickets online in DC? The DC Lottery is the sole provider of lottery tickets in Washington DC, and they currently do not provide the option to purchase tickets online. However, you can purchase lottery tickets and scratchers by visiting our online lottery page. Do I pay taxes on winnings from offshore gambling? Yes, winnings from gambling in the United States need to be reported on your annual tax forms. Be sure to check the tax rate at the federal level and from the District of Columbia before filing. Can I get in trouble from gambling online in DC? It is not against the law in DC to gamble online when using a licensed offshore casino, poker, or sports betting site. Additionally, no one in DC has ever been arrested or charged because they gambled online via licensed offshore betting sites, so you can rest easy when choosing a site found on this page.